The public is being invited to look around the The Highland Council's new flagship office complex in East Sutherland at Drummuie, Golspie, from 1-3 pm on Wednesday 2 April. The impressive listed building, situated on the southern outskirts of Golspie, has undergone a total refurbishment to provide modern office accommodation for up to 130 administrative and professional staff from a number of Council Services. Staff from offices in Brora, Dornoch and Golspie will relocate to Drummuie in a phased move from Monday 14 April. An official opening will be held at a later date, yet to be confirmed, when it is hoped to invite some of the older former pupils of the college and display old photographs. Phil Tomalin, Ward Manager for East Sutherland and Edderton, said: "There is a lot of interest in the refurbishment of this historic landmark building and we are delighted to offer the public this opportunity to look around the premises before they are occupied. I am sure those interested will be impressed with what they see." Drummuie was built in 1903 and most recently was a technical wing of Golspie High School. The refurbishment has been carried out by Morrison Construction. A new access from the A 9 has been provided to Drummuie, which provides a link to the Kilbruar wind farm development and opens up land for affordable housing. The Highland Council has appointed a new Chief Executive. 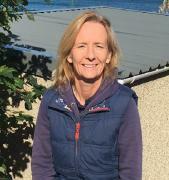 The successful candidate is Donna Manson, currently Service Director for Children and Young People in the Scottish Borders. On 22 January 2015 twelve S1 pupils from Golspie High School will be the first in Sutherland to become Junior Wardens as part of a joint project between the school, The Highland Council and High Life Highland. The Junior Warden Scheme aims to provide an alternative and creative way to engage with young people and community groups, promote positive behaviour and encourage active involvement in the local community. The Highland Council's Energy and Sustainability team have won the best innovation prize at the annual Energy North Awards which were held in Inverness last week. The Council has embarked on a project entitled Carbon Saving Capital Works for Council Buildings and Properties, with a specific emphasis on biomass, and in doing so has become an innovative leader in the renewable energy and low carbon sector. The success of an apprentice plumber from Dornoch who won the Student of the Year 2013/2014 title for SVQ 3 Domestic Plumbing 2nd Year from Inverness College has been recognised by Highland Councillors. At the start of the recent Community Services Committee, members learned of Andrew Fraser's success and took the opportunity to congratulate him and pay tribute to the support and training given by council staff. A ceremony was held today (Monday) to mark completion of the 1km section of the A838 Lairg to Tongue road, north of Laxford Bridge. The �850k scheme realigned and widened the existing single track road to a modern two-lane standard. Over the next few weeks new blue recycling wheelie bins are to be delivered to all households in Sutherland, along with details of the new refuse and recycling service. Households in parts of Sutherland which saw a four-weekly blue bin recycling service introduced in 2009 and so already have the bins, will be delivered new calendars and guides. The Highland Council is to consult with the public over plans to extend the number of ways the public can pay Council bills, such as Council Tax, Non-Domestic Rates and rent. A bonus for the Council is that it can save at least �400,000 per year through changing the way it collects payments. Offenders subject to community service orders across the whole of Scotland will be busy collecting litter and cleaning up local areas this weekend to support the Keep Scotland Beautiful Spring Clean campaign. In Highland 75 offenders who are being supervised by the Criminal Justice Service within The Highland Council's Social Work Service are scheduled to take part in the first national-wide Community Service clean up event. A new public office has opened in Golspie, which offers a wide range of services under the one roof. Olsen House is home to The Highland Council's Service Point and Money Advice Service as well as to staff of Northern Constabulary and the East Sutherland Citizens' Advice Bureau.